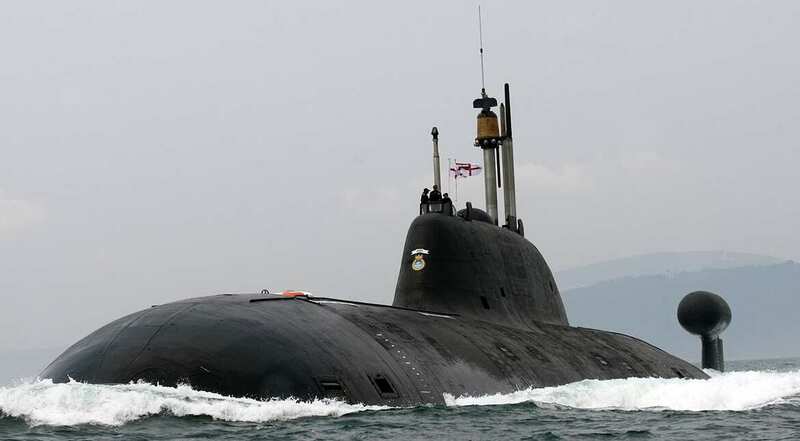 INS Chakra is India's nuclear-powered attack submarine. 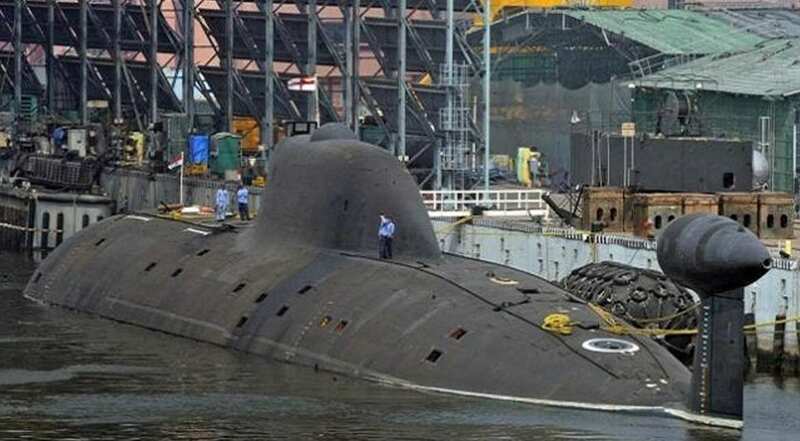 INS Arihant is the country's first indigenous nuclear submarine. INS Arihant: The country's first indigenous nuclear submarine can launch nuclear weapons from underwater. The 6,000-tonne submarine, which can carry ballistic missiles with nuclear warheads was inducted into the navy a few months ago. 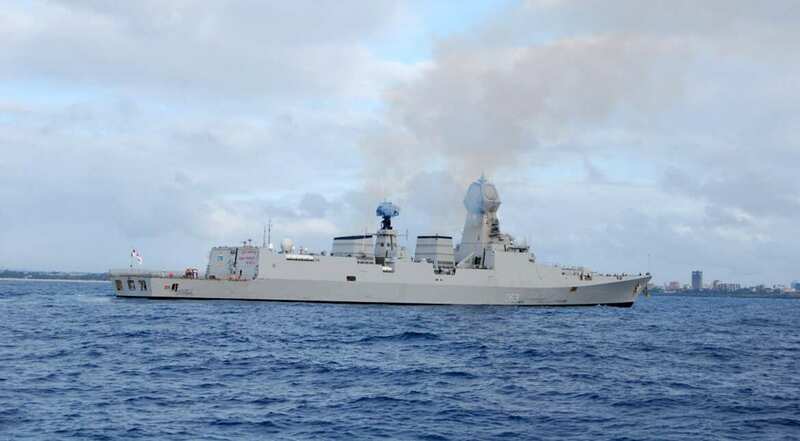 Kolkata Class: The ships of this group, guided missile destroyers named after major port cities of India. 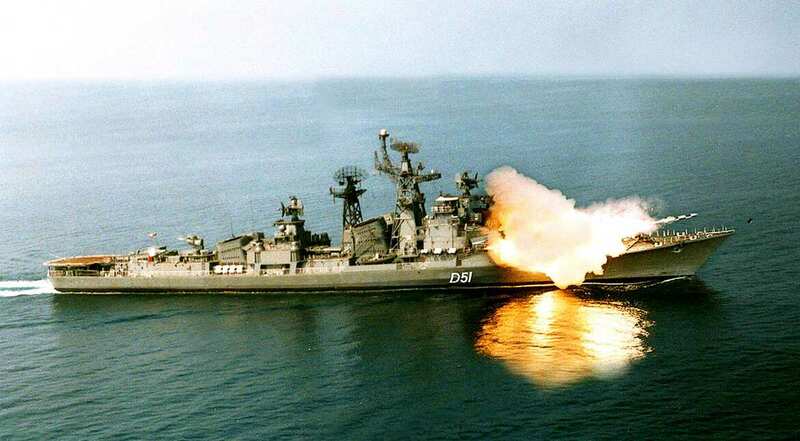 Rajput Class: These guided missile destroyers were built in the former Soviet Union after considerably modifying the Kashin design. 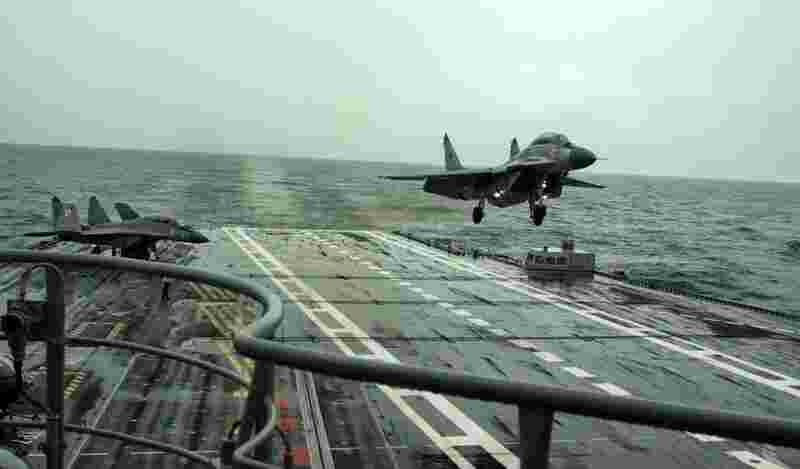 A MiG-29K performs a landing on INS Vikramaditya. 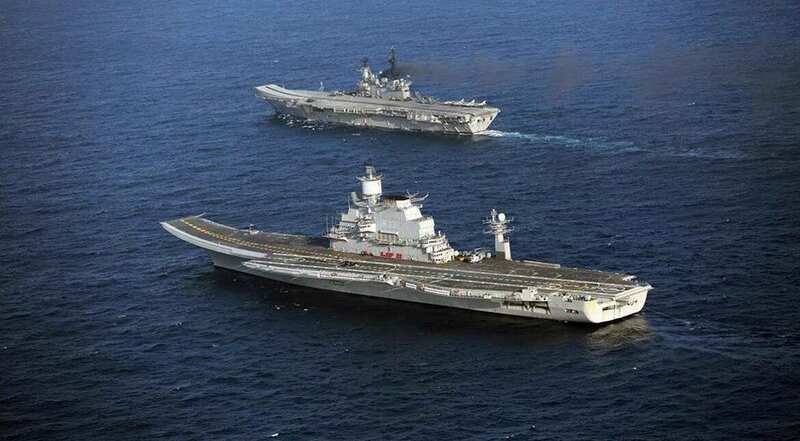 INS Vikramaditya is the newest and largest ship and aircraft carrier of the Indian Navy. INS Vikramaditya: The newest and largest ship and aircraft carrier of the Indian Navy was acquired by India from Russia in 2013. Its sensors are considered powerful enough to prevent it from being tracked by powerful airborne radar systems. 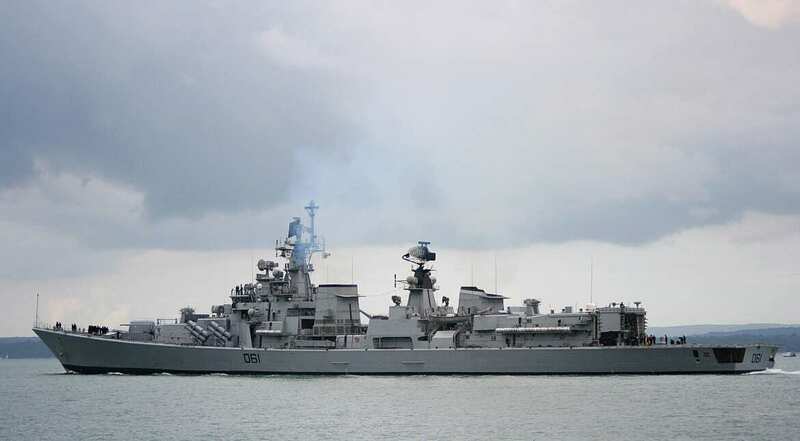 The Indian Navy has 14 frigates -- ships generally lighter than a destroyer. 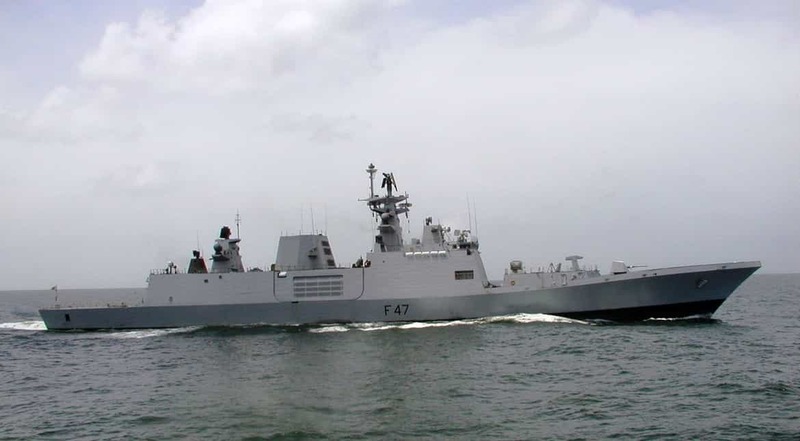 The Kamorta class of corvettes is primarily designed for anti-submarine warfare.